"Learn how to make a simple fabric bookmark. This is a quick and easy sewing project. Fabric bookmarks are so easy even a kid or someone learning to sew can make them. Reduce your scrap fabric stash by allowing your child to select their favorite fabrics. Kids will love making them and giving as gifts to friends. To make fabric bookmarks, watch Needlepointers.com's video tutorial and read the step-by-step free pattern instructions. Enjoy this project." Are you looking for a small gift for your book club or for some readers why not just grab some fabric scraps and make some fabric book marks. So fast and easy to do. You can even use some clothes you no longer want or how about one with some memories. 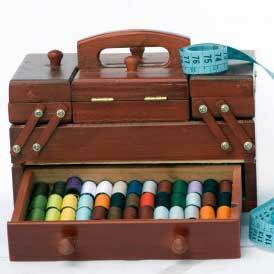 You can even learn to sew by starting with this. A tutorial and a super video to show how. Thanks.